Bible verses about strength are abundant. This is a very good thing because it seems like life throws so many things at us that we need all the encouragement that we can get. Satan tries to attack us (especially men) right in the area that He knows we can hurt Him with...our strength. There are many ways to be strong. We can have a strong character, strong will, etc. and we can be strong physically. Let's take a look at some of the best passages in scripture on this subject. 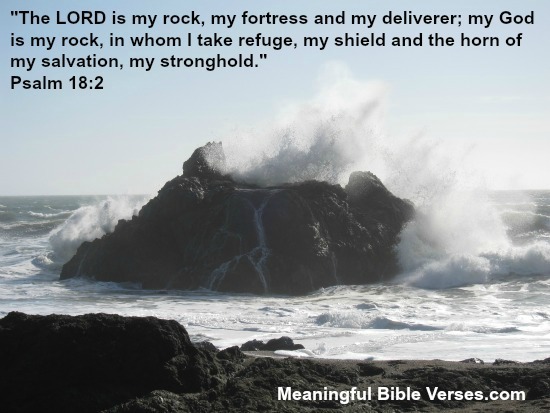 Exodus 15:2 The LORD is my strength and my defense; he has become my salvation. He is my God, and I will praise him, my father's God, and I will exalt him. Isaiah 40:31 ...but those who hope in the Lord will renew their strength. They will soar on wings like eagles; they will run and not grow weary, they will walk and not be faint. Joshua 1:9 Have I not commanded you? Be strong and courageous. Do not be afraid; do not be discouraged, for the LORD your God will be with you wherever you go. 2 Chronicles 15:7 But as for you, be strong and do not give up, for your work will be rewarded. 2 Corinthians 12:10 That is why, for Christ's sake, I delight in weaknesses, in insults, in hardships, in persecutions, in difficulties. For when I am weak, then I am strong. Isaiah 41:10 So do not fear for I am with you, do not be dismayed, for I am your God. I will strengthen you and help you; I will uphold you with my righteous right hand. Get the meaningful Bible verses newsletter delivered to your inbox. Subscribe below. I promise to use it only to send you Meaningful Bible Verses.